Great thanks to the whole team of AE Help. Learning with your web site is just a pleasure. Stay that amazing and continue to help people all around the world. I wish everything in your business and life goes well and i want to say thank you for your precious and valuable website. 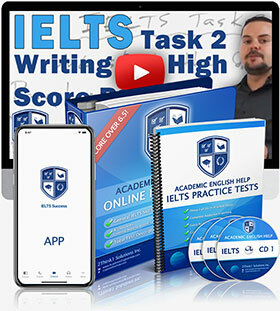 I have just finished your IELTS course and found it all very helpful. I am going to take the IELTS after a year, but your course has inspired me to start my preparation right now. It was the fourth time I was taking that exam... After your valuable feedback I obtained 7 in writing exam. I will strongly recommend my colleagues to join your website. AEHelp.com is very unique in terms of the academic environment. I have found that very few websites can provide the kind of memorable and successful experience that AEHelp.com offered me. Just wanted to say how grateful i am, the tutorials i bought from you really helped me. I got 8 overall with a 7.5 in speaking of which was my worry. I have successfully passed my IELTS exam with overall band score of 7.5 and individual marks as follows…your material on your website, it really helped me passing my exam!! Thank you very much. I really love your site. It's very useful..
For more than 3 months self-studying IELTS with AEHelp, my IELTS knowledge and skills have already improved so much... I also introduce AEHelp.com website to some of my friends at Vietnam. Before I found you, all I got is 5 in writing part, but then I was keep watching over and over. I finally got 6.5 burst into tears ToT. My dream to study abroad is finally come true. I rolled up my sleeves and studied video lessons (for only one month). Helped me score 7.0 average. Still can't believe they offer all these lessons for so cheap!...Thank you AEHelp Team! Looking for General IELTS Help? Worldwide leaders in strategy for standardized test success. Our mission is to help students reach their goals in learning and life. We understand student needs and create a unique learning experience for the best results.